In one of his internal meetings on the election strategy, Prime Minister Narendra Modi is learnt to have advised his party's campaign managers to focus on a binary theme that should run as " BJP versus SCAM". "What does SCAM stand for?," someone asked. The prime minister explained the abbreviation as "Samajwadi, Congress, Ajit and Mayawati". Behind the casual nature of this conversation lies a profound political reality in Uttar Pradesh, where the BJP has gained the position of principal pole. And the BJP's strategy is focused on not ceding this ground which they have regained after the 2014 Lok Sabha polls. In fact, since 1989 the country's most populous state has a chequered political history which is not always consistent with the national trend. Of late the regional satraps like Mayawati and Mulayam Singh Yadav have effectively marginalised the national parties like the BJP and the Congress and occupied a substantial political space. But this political jinx was broken by the Modi phenomenon in 2014 Lok Sabha polls. What is particularly curious is the political conduct of the Congress. Perhaps for Rahul Gandhi, Uttar Pradesh is the only state where he has been working hard for over one decade to establish himself as a leader worthy of political inheritance of the Nehru-Gandhi dynasty. In the 2009 Lok Sabha polls when the Congress won 21-odd seats, the party seemed to have partially recovered its lost position. But that assumption ran aground in successive polls of 2012 assembly elections and 2014 Lok Sabha polls and the Congress was reduced to be a fringe player. 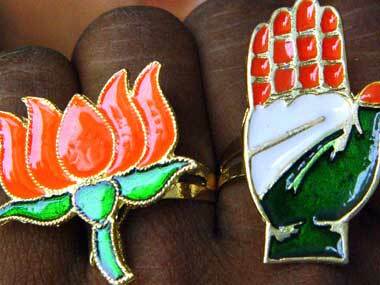 In 2017 elections, the Congress has given up the pretense of being a national party and will be trying to ride piggyback on the Akhilesh Yadav-led Samajwadi Party. 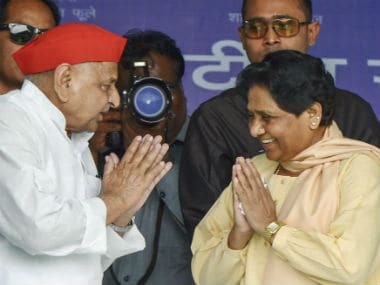 However, given the decades of anti-congressism nursed by Mulayam Singh Yadav among his trained cadres and the history of hostility between the two parties, it would be naïve to assume that the coalition would be a seamless union of disparate social forces. Take for example the dominance of Yadavs in local bodies elections in the state and one would realize the brazen misuse of the state power by Akhilesh Yadav to favour Yadav leaders. Similarly the dominance of recruitments of Yadavs in all state posts, including provincial civil services, is an open secret which already strained Akhilesh govrnment's ties with non-Yadav social groups. Moreover, all over the state, a significant number of crucial police stations are also manned by policemen belonging to Yadav caste. 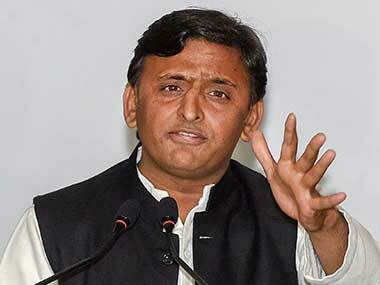 Unlike Mulayam Singh Yadav who was quite deft in managing social equations by propping up leaders from powerful castes like Kumri, Mallah and Koeri, Akhilesh tried to build his image among largely middle-class upper castes which are traditionally committed to either the BJP or the Congress. There is little doubt that despite the attempt for image make over, this class is intrinsically averse to Akhilesh's politics that promoted lawlessness in its worst form during the last five years. 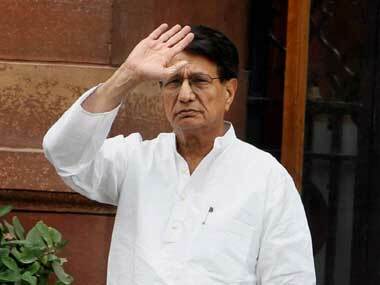 Apparently, the anti-incumbency against Akhilesh government can not easily be wished away. This is the precise reason why Akhilesh ultimately surrendered a large political space to the Congress. But there is no denying the fact that the alliance would attract and repel some social groups in equal measure . What is rather intriguing is the silence of BSP which has the capacity for powerful political mobilization. As of now the BSP is also targeting only the BJP as its main adversary for obvious reasons. 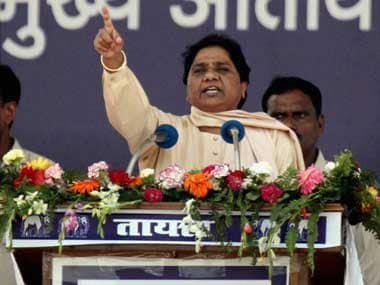 Given a series of communal conflicts in the state and underlying communal tension, the BSP is quite worried over the possibility of a section of Dalit votes drifting towards the BJP as happened in 2014 Lok Sabha polls. At the same time, the BSP is optimistic about winning over a section of Muslims who do not repose faith in Akhilesh's SP. The largest contingent of Muslim candidates in UP election belongs to the BSP. As of now almost all non-BJP parties have been pinning their hopes on forging a coalition of social forces against the BJP. This is an enviable position for a political party which has been playing a marginal role in the state for over a decade except for Lok Sabha election in 2014. Modi's coinage of BJP versus SCAM is clearly intended to emphasise the pre-eminent political positioning of the party in the ensuing campaign. Needless to say that UP politics is immensely capable of throwing up many optical illusions that may get dispelled only after the result.